A Kingdom Hearts III special edition has been revealed, and it features Sora, Donald, and Goofy figures. 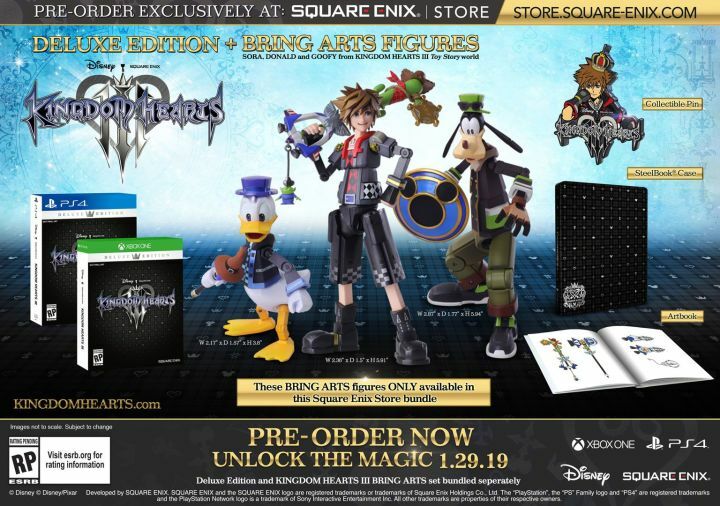 As detailed on the Square Enix store, the $230 USD bundle comes with three Bring Arts figures of the three protagonists, which are only available as part of the bundle. An art book, steelbook case, and collectible pin are also included alongside a copy of the game.